Yesterday our club ran a wado kata course with Sensei Peter May and Sensei Lee Minion at the Belle Vue sports centre in Hartlepool. This was the first time that we’ve invited both instructors up at the same time so we wanted as many of our students as possible to train with them. We split the course into three different sessions and students could choose to attend one, two or all three sessions. I think splitting the event like this helped because it fit into other peoples schedule better, this meant that we got 40 people to the course. Session 1 was a general training session, this allowed our younger and low grade students to train. The session covered various types of resistance training as a way of getting your stances right. Then it moved onto sparring. 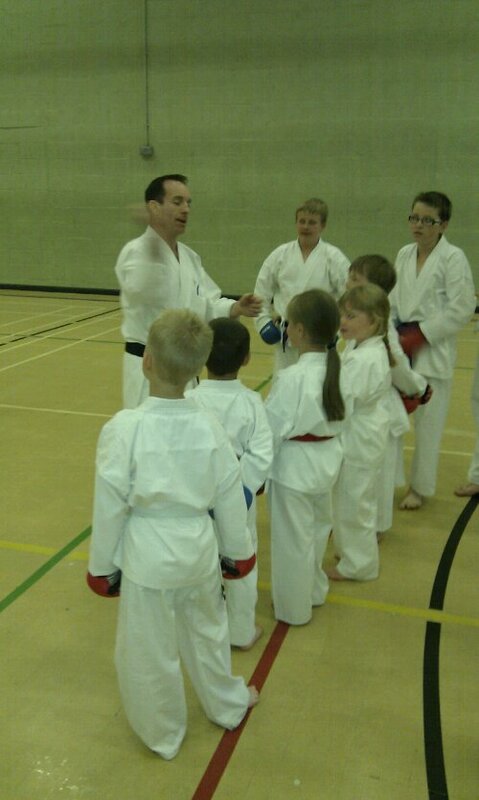 The session was a good warm up for the more experienced, and the younger kids loved every minute of it. Session 2 was a masterclass in Pinan Godan. This is the first round kata for the August JKF-Wadokai Nationals in Tokyo. A lot of our students also need this kata for their next belt test so this was a logical choice for this session. At the end of the session all the competitors demo’d Pinan Godan and got some more feedback. 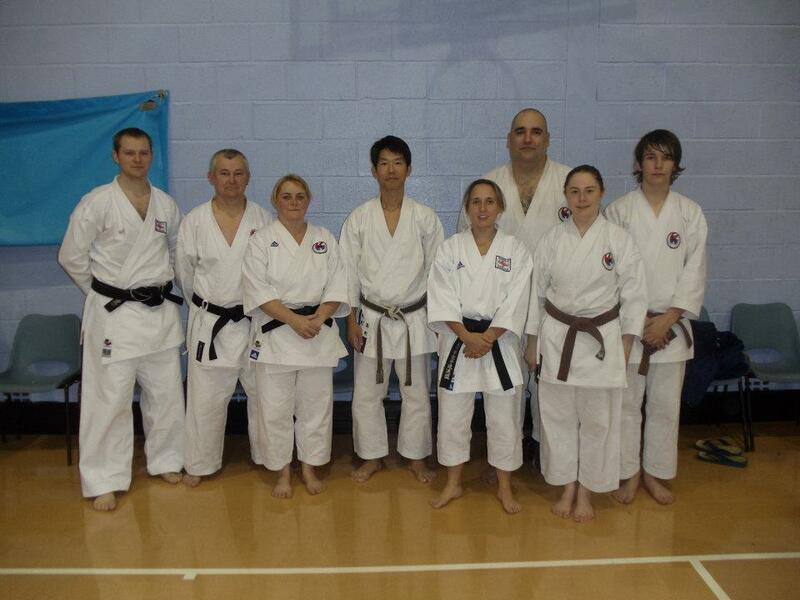 In Session 3 we started off with Seishan, this is the compulsory Kata for the Wado World Cup in August. After a short break we moved onto Kushanku, this would be testing everyone’s endurance because at this point we’d all been training for over four hours! Once again, at the end of the session all the competitors heading out to Japan demo’d Kushanku, and once again got some much needed feedback. I’d like to thank kobukan Darlington, Derby Karate Academy, Teesside, Lincs Aiwakai, and Carlisle for supporting the course. As part of Carl & Amy’s prep for the Wado World Cup & Japan Nationals, Hartlepool Wadokai has arranged a special Kata training course with Sensei Peter May 6th Dan JKF-Wadokai & Sensei Lee Minion 5th Dan JKF-Wadokai. 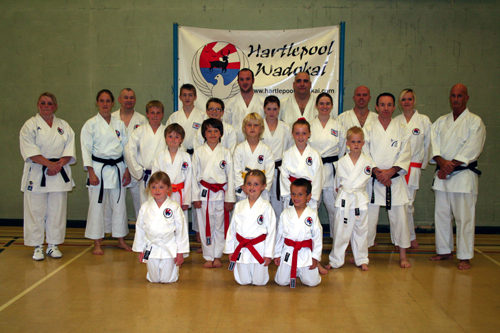 Both instructors are the current Wadokai England National Kata Coaches and though both have visited the club before, this is the first time that they’ve ran a a course in Hartlepool together. Sensei Minion has also been selected to compete in the Senior Men’s Kata Division on behalf of England at the Wado World Cup (alongside Carl). This is a fantastic opportunity for the club, and friends of the club to get some great training with two of the UK’s best Wado Kata coaches. For more information, please download the PMay&LMinion Seminar Poster or contact Carl via email (carl at hartlepoolwadokai dot com) or tel 07984 798634.